Ecommerce websites are one of the most effective ways to build a profitable online business. Do you want to join this trend? Then take a look at these 5 things you need to know before buying an ecommerce store. First, you need to evaluate the traffic of the established online store on sale. As you probably know, web traffic is the lifeblood of any online business. You want to check the sources and main ranked keywords, so make sure to ask for Google Analytics permission to study the traffic data. Create weekly and monthly reports, to understand if the traffic is constant or variable. Evaluate the top sources, which should normally be organic search, referral and social. Another important thing to look into is the website’s search engine optimization. Check for any history of Google penalties. Study on-page and off-page SEO for ecommerce to make sure that the site is already optimized. Look further into the keywords the online store ranks for. Also, it’s important to evaluate the backlink profile, as you don’t want to buy a website with paid or spammy backlinks. Second, check if the ecommerce store falls into a niche with a good demand and a relatively low amount of competition. There are many online stores selling popular products and it’s hard to keep up with competition (most of all, with monsters such Amazon, eBay or Alibaba). You may think it’s impossible to find a profitable niche nowadays, but there are still interesting niches around. And they normally have similar characteristics. Find a niche that you’re passionate about, something that you can add value to. You have the opportunity to showcase your expertise, which means creating great content for your ecommerce store. You can, for example, add your experience while writing the product description, or even better, build a free guide that goes along with the product. Another important point to evaluate is the existing supplier dynamics of the online store you want to buy. You have to understand all the supplier agreements, including the relationship history and the terms, such as discounts and shipping costs. Also, you don’t want to do business with unreliable suppliers. It’s wise to test them out by making a real order on the online store to check the customer experience. It’s essential to understand if you can have the existing relationships transferred to you, once you purchase the ecommerce store. You don’t want to buy a business and then discover the key supplier won’t comply with the previous agreements. Finally, if you can, arrange a meeting with the most important suppliers. A face-to-face meeting is always the best way to figure out if you can trust the person you intend on doing business with. When buying a new website, you want to evaluate the design. Study the CMS and coding, and browse the online store to look for any bugs. Navigate as if you were a customer looking to buy and go through all the purchase processes. Check if the shopping cart is user-friendly. Bad web design will probably mean that you have to invest more money in creating a better look for your website. Understand what kind of marketing techniques are used by the owner to bring in new customers. Look into their social media accounts. Ask about the conversion data and if they are using paid traffic to increase their number of clients. This way, you can evaluate if you can add new marketing strategies to boost sales even more. This is something important for any business deal. Check the financials of the ecommerce store. Verify if the claimed revenues and expenses really reflect the real situation. You have the right to ask about all the reports on a monthly basis in order to evaluate the revenue for at least the past year. Be sure to double check this, by looking at the payment processor or bank statements. Study all the expenses, including the stock purchases, hosting, email subscriptions and any employee salaries or paid advertising, together with the processing fees, refunds, and chargebacks. You need to make sure the purchase of the online store is well worth it. Consider that good ecommerce businesses are usually sold for 1 to 3 times the yearly profit. It’s a huge investment you need to carefully evaluate. Last and most important is the practical standpoint. Are you going to run the ecommerce or will you have someone to do it for you? If you are going to run the website, you need to evaluate if you will be able to manage everything. Be very careful to evaluate the amount of time the previous owner typically worked on a weekly basis to figure out you can do it personally. If you want to buy an existing ecommerce website, you have to pay attention to the points listed above. It’s a dream of many to make a living online with just a few hours of work a week. The truth is there are lots of things that can go wrong. 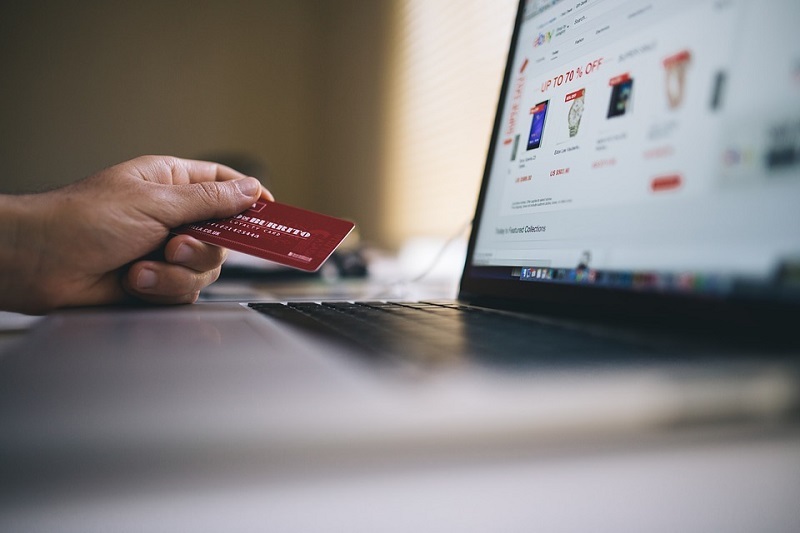 When you identify an interesting online store on sale, consider its traffic, the niche, the product supplier relationships, as well as its web design and site structure. Sometimes ecommerce websites are sold for tens, or even hundreds of thousands of dollars. This is why spending some time on studying the offer is the right thing to do. Have you ever bought an established online store? Please share your experience and tips in the comments section below, thanks! You missed on the issues of who owns the customer list, can the tech or supply providers you work with ever compete with you with your own customer relationships, with who and where is the actual inventory going to be shipped from and will the packaging,wrapping, labels etc have ONLY your name and NOT the name or contact info of any other company EVER! These issues are critical to build a business that is truly only yours and not one that can be easily taken from you. Be aware, very aware.